Sometimes described as less convenient than dailies, monthly disposables are still a very popular type of contact lens in the UK. They have to be disinfected and stored at the end of each day but they are more durable and comfortable (for some wearers) than dailies. They also tend to be slightly thicker, which makes them easier to see, handle, apply and remove. Monthly disposable contact lenses can be taken out, stored and re-inserted the next day,unlike dailies, which have to be thrown away after each wear. The majority of monthly disposable contact lenses are made from silicone hydrogel materials. These tend to have a higher water content, which makes for better oxygen transmission to the cornea. In short, monthlies are by and large more breathable than dailies. Up to seven times more oxygen can filter through the lens, which means eyes stay hydrated constantly. If choose to go with monthly disposable contact lenses be prepared to adhere to the cleaning routine. Failure to do so could lead to an eye infection. Over the course of a day, even the most deposit-resistant substance will accumulate protein, calcium and dirt deposits, even if they’re not visible to the naked eye. Thorough cleansing after each wear remedies this. If you have particularly irritable eyes, you may be better off with dailies. 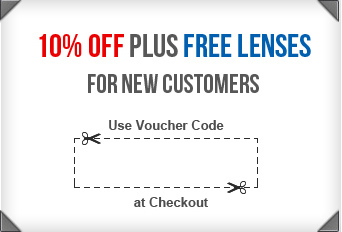 Lensite.co.uk also sells a wide range of cleaning solutions suitable for monthly contact lenses.